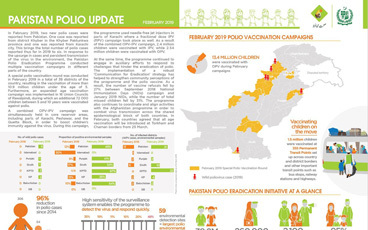 Thanks to the unbending resolve and resilience of women health professionals as they go door-to-door across villages and mountains administering vaccine in some of the most marginalized or remote communities, women are truly the backbone of the polio programme at the ground-level. We asked a few of these women about their most daunting and heartening moments in polio, and how they worked through them. 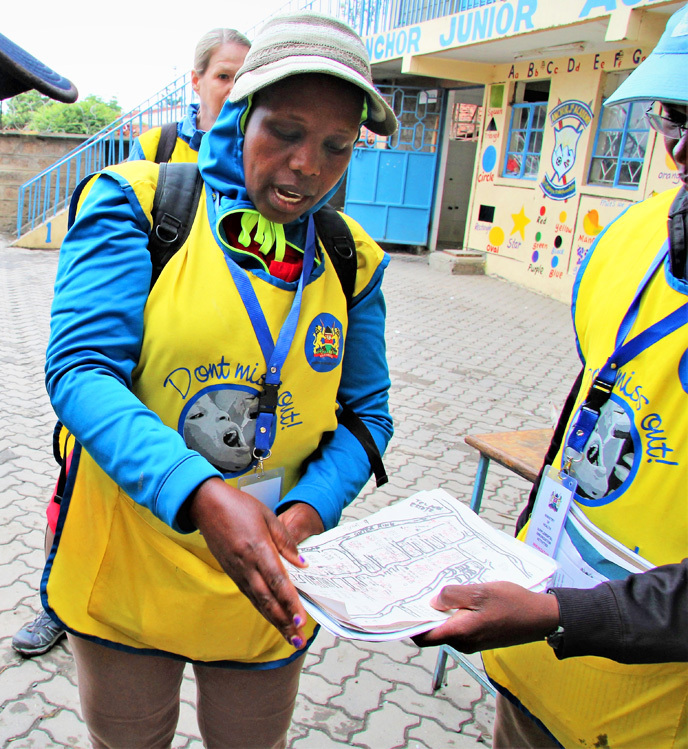 For Julia Kimutai, a 38-year-old community strategy coordinator in Kenya, educating the public about the importance of vaccines is a constant project. As a specialist in dense urban areas with high rise buildings, Julia knocks on a lot of doors and is often greeted with refusals. But where some might just see a campaign-time encounter with skeptical parents as a one-off, Julia sees a long-term project. “Where we have difficulties is where we double down our efforts to build relationships. 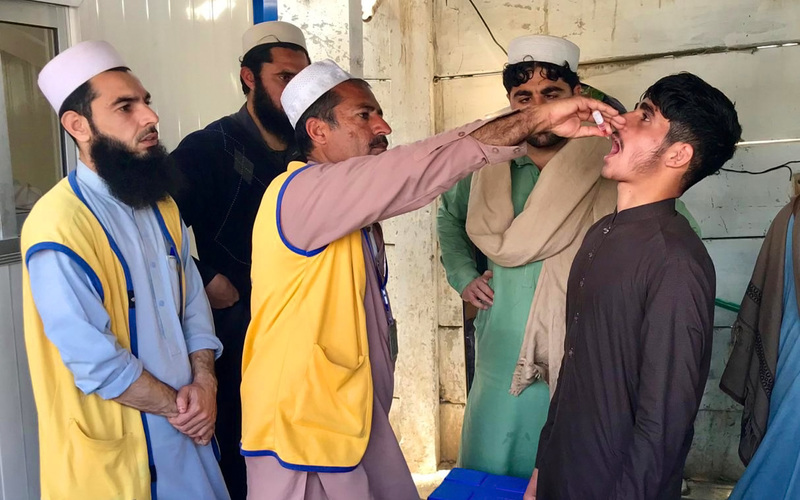 We even go back when there is no polio campaign to try to talk with parents, emphasize why vaccination is important and try to do a lot of health education,” she says. 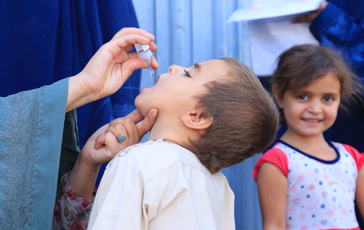 As a woman and as a mother, Julia believes she is uniquely qualified as she can relate, understand and convey the importance of polio vaccines to the numerous apprehensive mothers she meets daily. 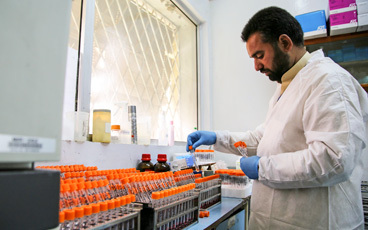 But Asha takes pride in the challenges she has been able to overcome since joining the polio programme. 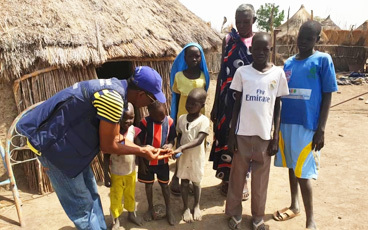 “My best moment is seeing the same children I once vaccinated all grown up and bring their own children for vaccinations. It gives me immense hope and happiness,” she says. A continent away, for 39-year-old Islamabad district health communication support officer, Bibi Sharifa, a big part of the job is demonstrating how women can do difficult work and stand firm in the face of adversity. 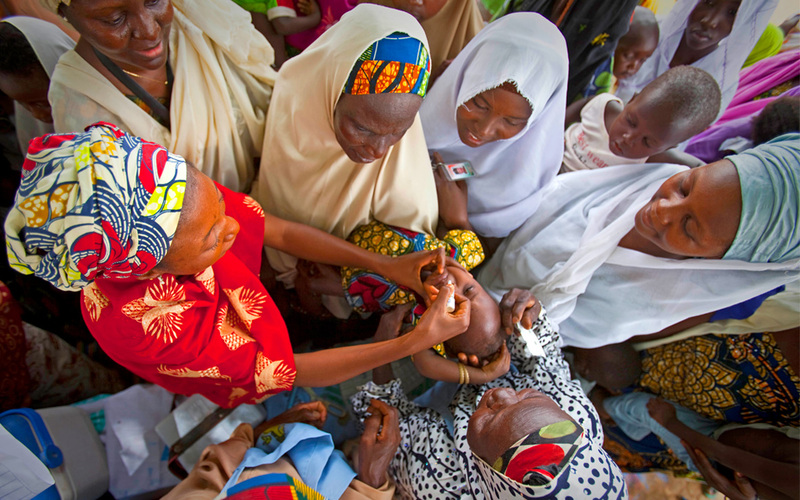 The linchpin of on-ground polio eradication: women health workers and leaders.